When it comes to running up mountains in the lower mainland, Nick Elson has proven he's the man to beat. For the second year in a row, the Canadian Mountain Running Championships were held in southern British Columbia. And for the second year in a row, Elson is Canadian Champion. Elson finished nearly three and a half minutes ahead of second-place finisher Eric Carter on the steep ascent up 'the Chief'. Multiple-time national team member Shaun Stephens-Whale rounded out the top three. The women's race was a close one between Brooke Spence, Meggan Franks and M.K. Cirelli. Spence pulled away from Franks and Cirelli in the late stages and was crowned Canadian Champion. Spence is returning to mountain running after a multi-year break. She was selected for the Canadian team at the NACAC Mountain Running Championships in 2008 when it was held in Tepatitlan, Jalisco, Mexico. This year, the NACAC Championships will be returning to Jalisco in two weeks. Franks has been selected for this year's NACAC team. 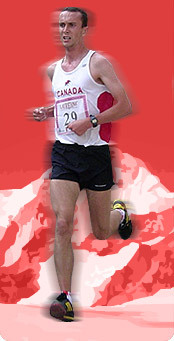 The Canadian Championships were the selection race for the national team that will compete at the World Mountain Running Championships in Bulgaria on September 11th, 2016.